And now for some news that’s surreal in a good way. According to Entertainment Weekly, a buddy comedy starring Rihanna and Lupita Nyong’o is officially in the works. Ava DuVernay, director and writer of Selma and 13th, will helm the project. Issa Rae, writer and star of Insecure — aka the best thing to come out of HBO since Game of Thrones — will pen the script. Four talented melanin goddesses, one creative project? This is gonna be good. To think it all began with a meme. 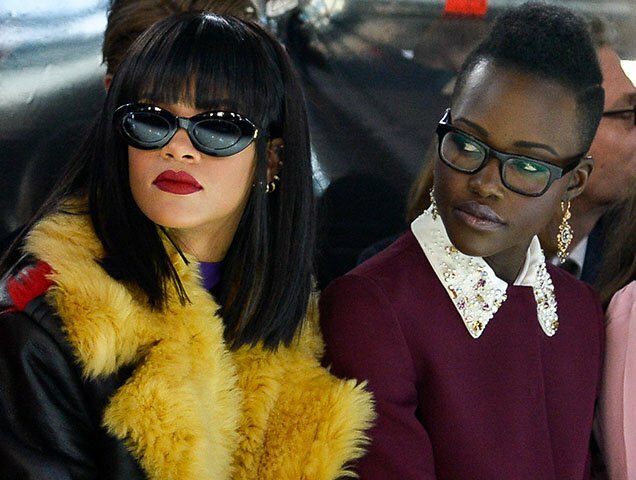 In April, Pascal Le Segretain’s epic photo of Rihanna and Lupita Nyong’o sitting front row at Miu Miu’s Fall 2015 show went viral thanks to Twitter’s @1800SADGAL, who astutely observed that it looked like a still from the world’s greatest heist movie/baddy flick (n. a buddy flick starring two awesome females). Emboldened by the actress’ responses, the film’s would-be producers set their sights on Ava DuVernay and Issa Rae. 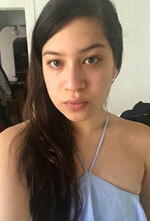 The director and writer were happy to jump on board. As was Netflix, who won the rights to the project in a “very aggressive” bidding war. (No surprise there — it’s a widely known fact that Rih is the epitome of marketing gold.) Vanity Fair reports that Rae has already begun writing the script and that “the original Twitter users who imagined the concept for this film will be credited and included in some form.” Just how true Rae stays to @1800SADGAL’s original “pitch” remains to be seen. Production is set to begin in 2018, after DuVernay completes her current project, A Wrinkle in Time. The lesson? Ask (cleverly) and you shall receive nice things.